Every May in Long Beach, California, the Advanced Clean Transportation (ACT) Expo takes place. According to its website, this expo is the industry's largest and most prolific show concentrating on alternative fuel and clean vehicles. This expo not only draws in thousands of people from fleets across the nation, but it also attractions experts in technology and infrastructure, fuel providers, and policy-makers to discuss the newest breakthroughs in the field of clean transportation. Unlike many expos that concentrate on transportation or improving the air, the Long Beach caters to many different types of emerging technologies. 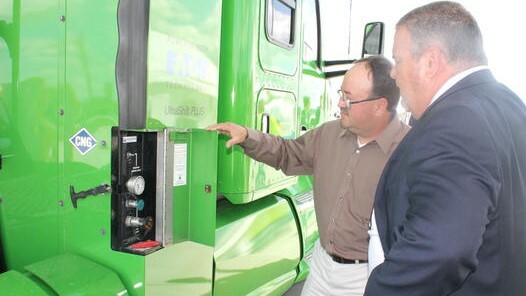 They invite all weight classes of commercial transportation vehicles while also showcasing a vast array of fuel types including, but not limited to “...electric, hybrid, hydrogen, natural gas, propane, auto gas, and renewable fuels...”, providing a place for interested parties to explore all types of fuel. For those involved, the ACT Expo has become a way to not only network with those looking towards alternative fuel, but also visit one on one discussions with those who have a first hand experience with these fuels and get a glimpse as to what is coming to the industry. Through the 2017 ACT Expo, many new talking points and noteworthy technologies were introduced. The ACT Expo is certainly a notable and well-renowned event in the trucking industry that deals with energy-related issues, but there are several others throughout the country such as the HHP Summit in Florida and The Great American Trucking Show in Texas that are held every year that bring new energy findings to the table. Shale – The New Energy? One of the most controversial ideas that has come out of recent class of energy independent events is the enormous amount of shale available throughout the country and how this could lead to an American energy independence. Shale drilling within the United States began around ten years ago, very soon after horizontal drilling and fracking technologies became more advanced. As the amount of shale available has nearly doubled in the last nine years, from 5 b/d in 2008 to 9 b/d currently, many believe that shale is the fuel of the future. However, Matt Piotrowski of Securing America's Future Energy (SAFE) has announced this “myth” shades the fact that America is still very reliant on fuel importation, as nearly half of petroleum used within the U.S. Comes from overseas. While the possibility of increased use of shale as fuel, experts admit that the rate of which this technology will become widely available depends heavily on the price as well as how the oil industry performs in oncoming years. Energy experts, however, have concluded that there is an increasing interest in fuel production in the United States. By increasing fuel production in the US, there is no doubt it will result in an increase of trucking job opportunities across the nation. On the other hand, shale oil has long been explored as an alternative to fossil fuels and has proven to be able to reduce, “...the cost of oil-derived products and natural gas while simultaneously mitigating domestic energy security concerns regarding imported oil and reducing emissions...” Because of the fact shale oil remains so controversial, it will be interesting to see where the public and private sectors go with it, and if some sort of agreement can be reached. Autonomous semi-trucks promoting a small carbon footprint have been popular in the media recently, and many existing companies in transportation have recently showcased what they are doing to make their fleets more environmentally friendly. One that stood out due to its massive fleet and worldwide coverage was UPS. Though when UPS comes to mind, the smaller, more local trucks are often what people vision, but the shipping company also provides many truck driving job openings to ensure packages arrive to their destination on time. While many international companies have only recently begun to take on the idea of introducing their fleets to alternative fuel, UPS has been on the forefront for many years having already introduced 8,300 alternative fuel vehicles throughout the world. 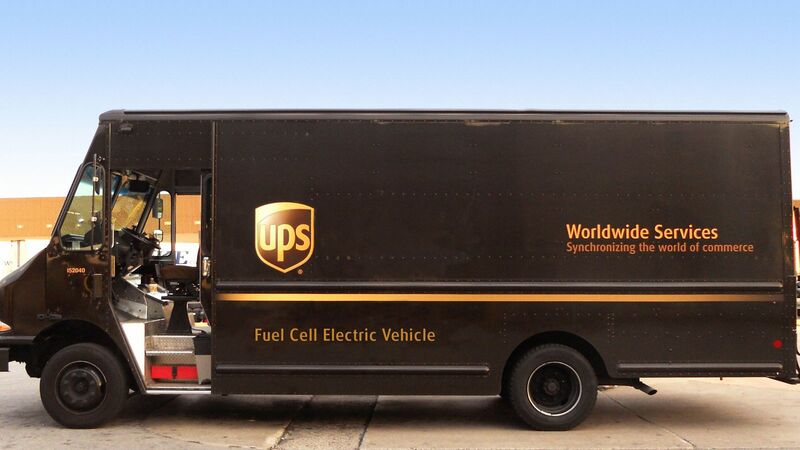 Recently, UPS continued their progressive attitude towards alternative fuel by introducing their very own prototypical extended range Fuel Cell Electric Vehicle, or FCEV to what they call their “Rolling Laboratory”, their fleet of vehicles currently running on alternative fuels and/or advanced technology. Along the lines of fuel cell technology, US Hybrid announced this year that they will produce a fuel cell Class 8 semi truck with test runs in ports in California beginning this year. 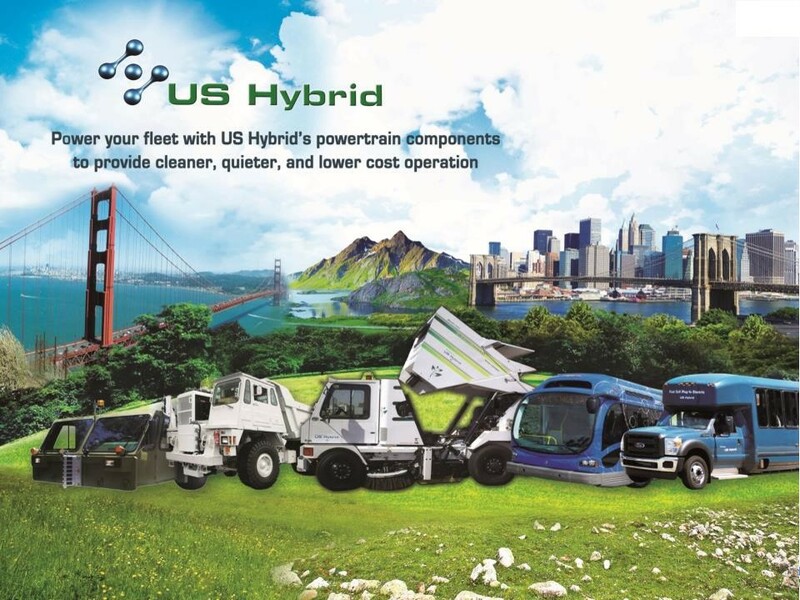 Like many other companies in the development of this technology, US Hybrid has designed their own system to compete alongside. While the technology they have developed is new, they have based the tractor it would haul on the already available Navistar International ProStar day cab, but have instead equipped it with their very own FCe 80 fuel cell engine. This allows the semi to deliver up to 2,900 pounds per foot of torque. Much like UPS, the test runs of the fuel cell Class 8 semi will be completed in the Golden State. According to the US Hybrid announcement, they expect this fuel cell semi to provide the same energy as 22 gallons of low sulfur diesel fuel. Some worry that refueling with compressed hydrogen gas will not be efficient and therefore will elongate a driver’s time on the road, but US Hybrid has said that refueling will take a mere nine minutes to complete. While all of this talk about fuel cells possibly becoming the future of the trucking world, it becomes more important than ever to understand what exactly fuel cell technology is. Fuel cell technology works as a chemical reaction. Within a fuel cell, there are two electrodes, the positive anode and the negative cathode, in which the reaction occurs. This emerging technology has been considered very desirable in recent years because of the low amount of pollution it produces. More simply put, a fuel cell converts hydrogen and oxygen into water, which then produces electricity. Another appealing aspect of fuel cell technology are the advancements in technology for batteries. Unlike a typical battery, a fuel cell battery can never go dead due to the fact that there is a constant flow of chemicals within the fuel cell. Many people have only recently begun to hear about fuel cell technology as alternative and cleaner fuels are explored, but the fuel cell has been around since 1839. Unsurprisingly, this potential advancement appeals to many drivers and fleet operators because it potentially provides a solution in which a situation with a dead battery in a truck is but a thing of the past and drivers feel secure knowing that their equipment is somewhat impervious to a common issue. These announcements in technology are merely just a few of the many, many points of interest that are frequently explored during energy-related expos such as ACT in Long Beach. While many of the ideas may seem controversial or even more like a pipe dream, it was enough to get the attendees to at least begin to show that there are several alternatives coming to light in the years to come. Commercial transportation has become one of the biggest industries to explore these technologies because not only does a trucker job impact the industry itself, it plays an important role in many other industries. Whether one agrees with the emerging technologies or not, it seems that many players within trucking are beginning to advance towards fuel-related ideas and opportunities that may be considered non-traditional.